The popularity of residential epoxy & polished concrete flooring is increasing in Lexington KY and the surrounding areas. 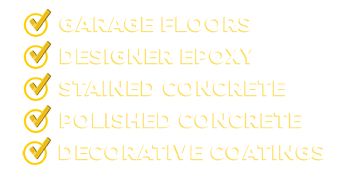 Not long ago it was almost unheard of to see epoxy or polished concrete floors in our homes. That’s all changing with our durable systems of artistic patterns and designs. Homeowners are starting to realize the benefits of having highly durable, artistic concrete flooring surfaces. While we won’t go so far as to say the sky is the limit with our residential concrete floor designs. Our solutions and designs are only limited by ones imagination. With concrete polishing, stamping, staining, and epoxy coatings we can produce concrete floors that are stunning. All of of our flooring systems are very easy to clean and maintain. Most often a light sweeping or damp mopping is all it takes to have one of our finished floors looking like it did the day we installed it. 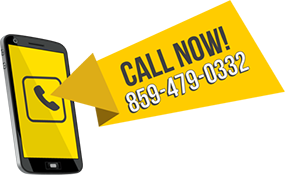 We’re easy to reach at 859-479-0332. Call in and schedule. We’ll come out to your place and inspect the floor. While we’re there we can discuss design options. Afterwards we will leave you with a detailed price of what it will take to complete your upcoming project. Our services are available throughout all of central Kentucky. Although we’re located in Lexington, we also service the surrounding cities of Frankfort, Georgetown, Richmond, Versailles, Winchester, and Nicholasville KY with our epoxy flooring services. Feel free to use the CONTACT US form here on our site. A representative will get back with you to schedule your in home appointment.